Big thank you to Ionia for letting me post about my debut Horror novella. I promise to clean up after myself and lock the door when I’m done. AVAILABLE ON AMAZON KINDLE FOR 99 CENTS!!!!! So I had made a piece for a card that ended up being too big for the card. Then I saw the new sketch for Unscripted Sketches, and couldn’t believe how well it worked. So here is my creation, and I made this before I saw the sketch. Really weird. 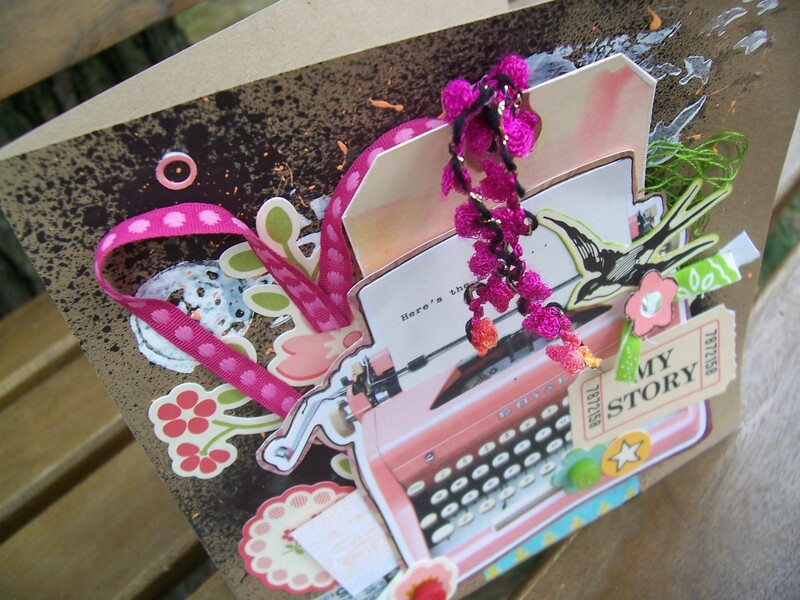 I used paper from a 6 x 6 Amy Tangerine paper pad to make a layered embellishment, and added the baker’s twine. 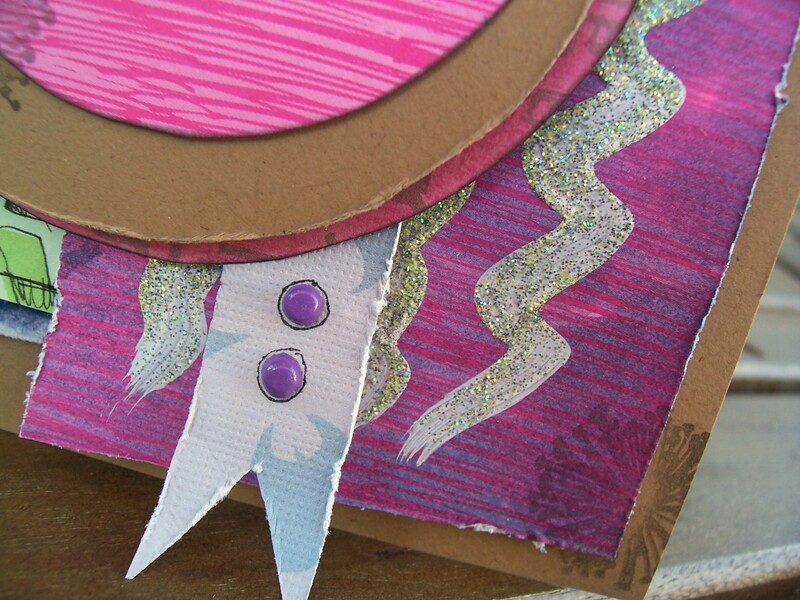 Then I applied a blue watercolor wash to another piece of the same pink patterned paper, and once dry, made some zigzags with gesso, and on a whim, added some glitter left over from another project. I took an old piece is patterned paper (green alphabet), and doodled on it with black pen. 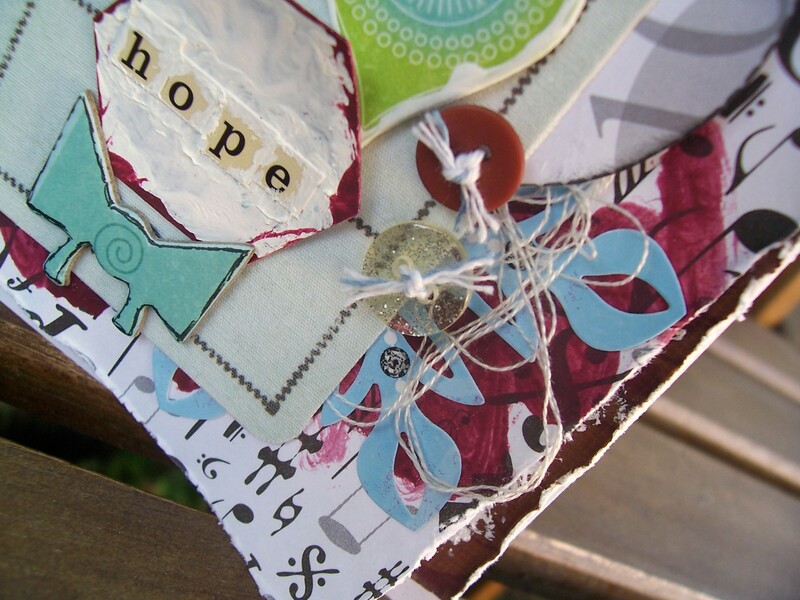 Another patterned paper made the banner along with the bottom layer under the sentiment. I distressed some of the papers, and drew, cut out, and doodled my own flower from patterned paper, and cut a chipboard flower in half. Adding two purple brads to the banner and outlining the brads with black pen, part of a clear border sticker, and a flower and bird stamp. Lastly, I stamped the title with gesso, then traced the letters in black pen once dry, then added letter stickers to finish. 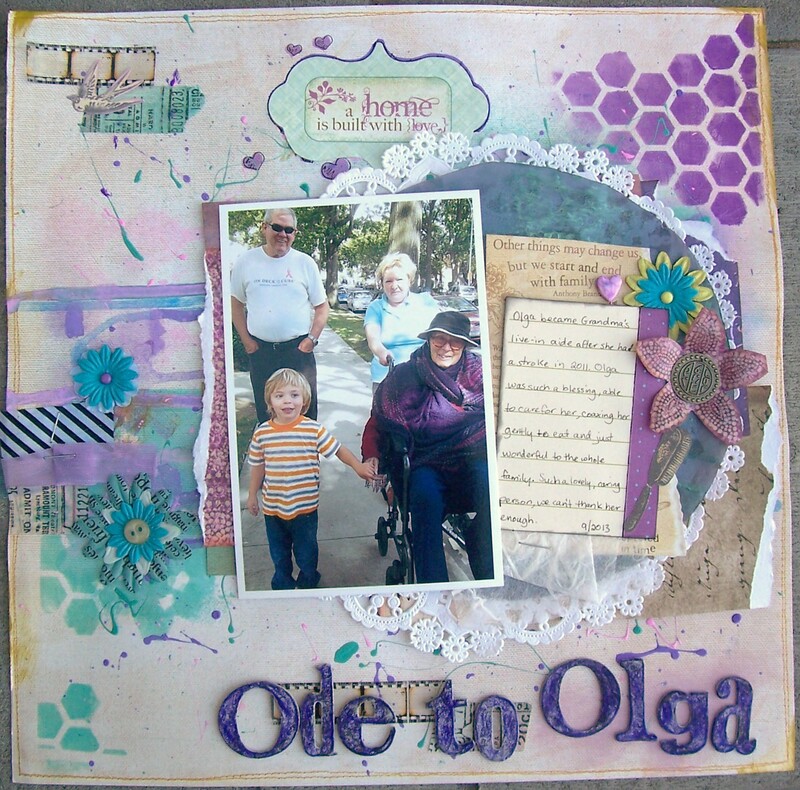 You may also remember a post I made aWHILE ago about a scrapbook album I made for Grandma’s 100th birthday. Soon after her birthday, she suffered a stroke. In addition to other thing, she needed 24 hour care. Anyone who has gone through the process of getting help for someone, live-in or otherwise, knows it can be a bit of a process. Olga was not there from the start, but she was with Grandma the longest, and was wonderful to her. 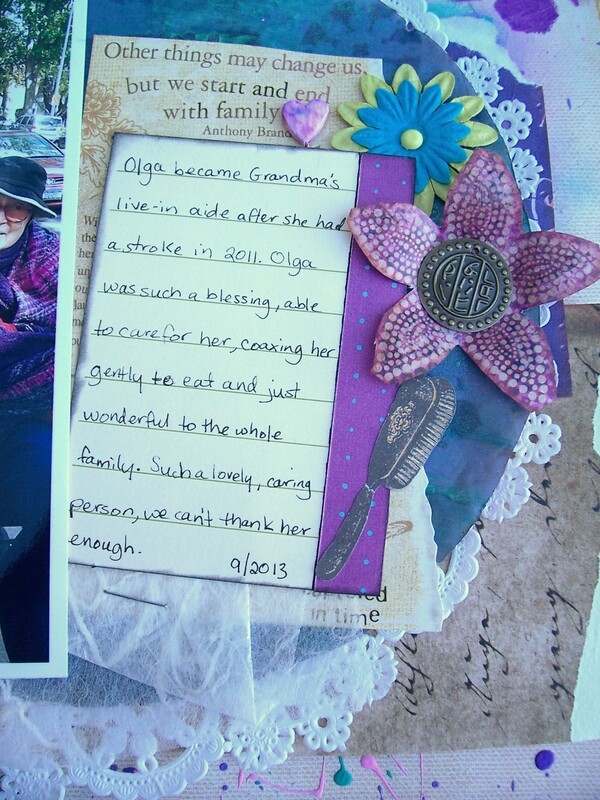 When Grandma passed, I thought it only fitting that she get a page dedicated to her in the scrapbook. I did a quick check around an found a sketch that worked well and definitely got inspired by the design team creations, and playing with my new supplies. 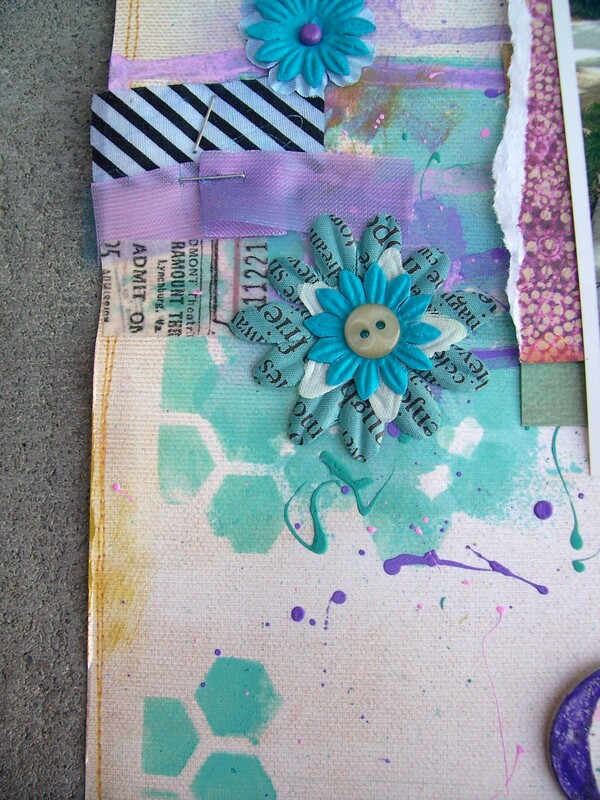 For the layout I used purple, teal, blue, and small touches of green. The same colors used in the album, and Grandma’s favorite color is purple. 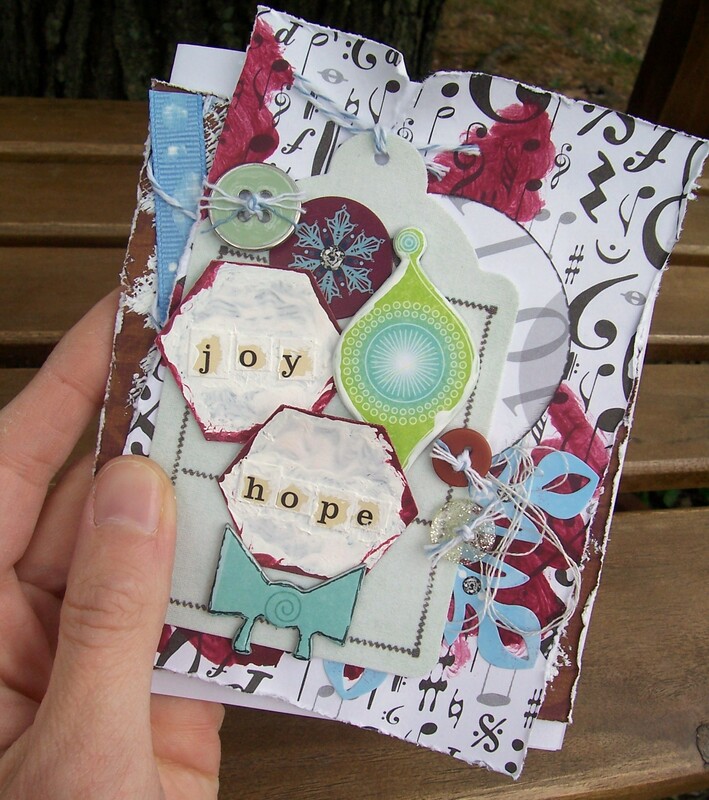 The background is a base of double-sided patterned paper from an old kit. 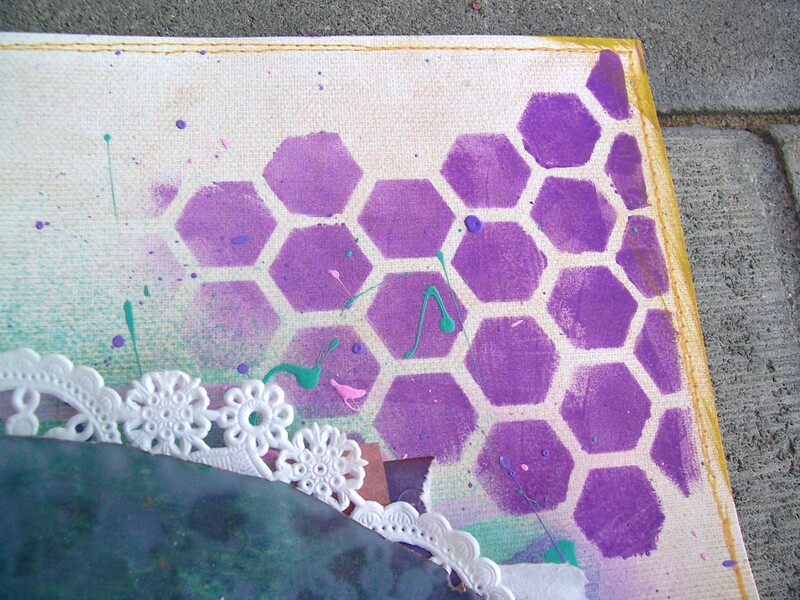 Then I applied Adirondack Paint Dauber with a newly acquired Heidi Swapp Honeycomb stencil, as well as shades of blue and purple paint watered down and sprayed to create drips across the layout. Also sprayed is (also new) Heidi Swapp Color Shine spray in teal. 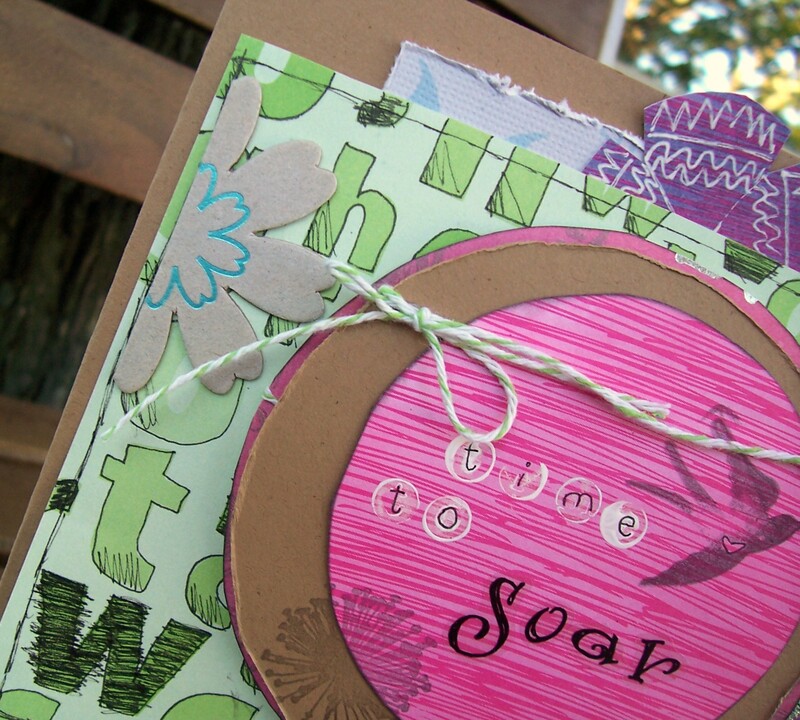 I also splatted and ripped paint and used a green pigment ink stamp pad on the edges. 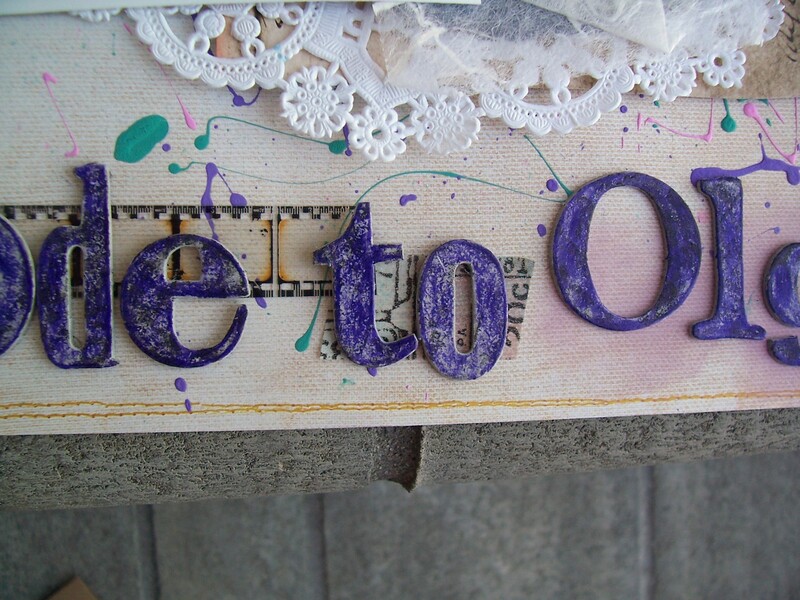 i used a large paper doily, some fabric and ribbon, along with some 7Gypsies paper tape that got spattered with the Color Shine mist for a nice dash of color. I also gessoed and painted a heart pin (it was originaly pink), and combined some flower, brads and buttons. 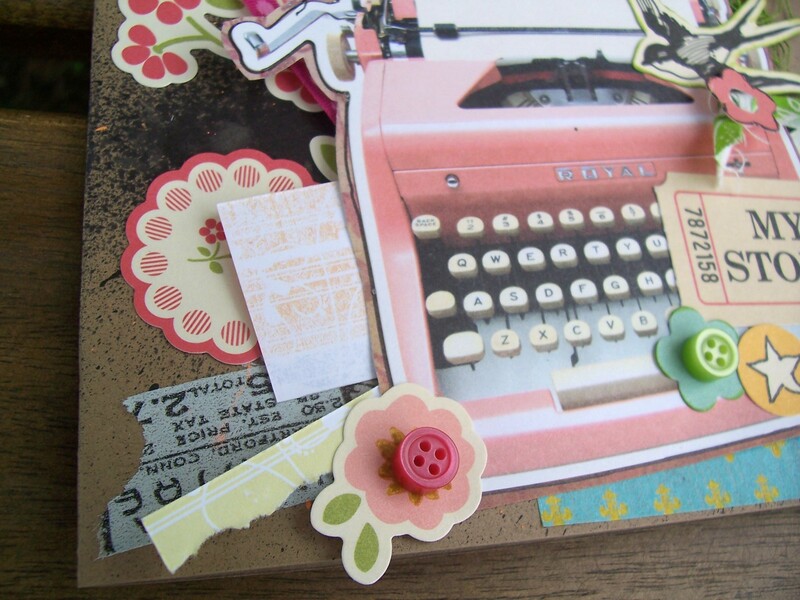 THis “flower” above is actually cut from patterned paper, with a little mod podge added to the petals for some shine. The button looked like Chinese lettering, and Grandma (with Grandpa) had traveled all over the world, including southeasern Asia. I also used an old K&Co. ephemera die-cut vintage hairbrush. I had a old, large piece of purple vellum, which I sprayed with the teal Color Shine. Once dry, I traced a rough circle on the other side and cut it out, adhereing it off-center onto the doily. I layered some patterned papers, stapled more fabric, and a slightlly altered journaling card (to go with my color scheme). 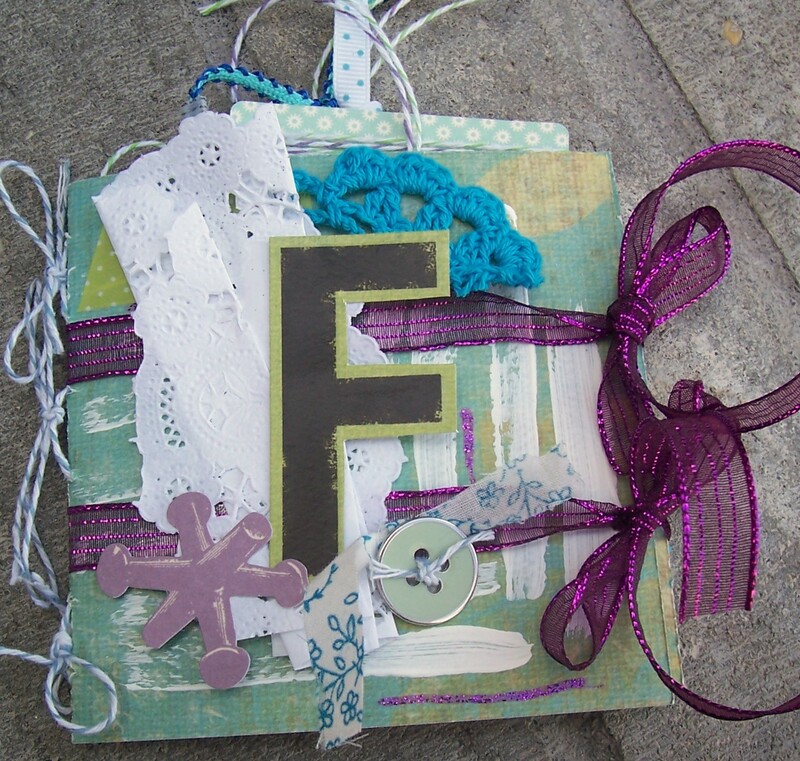 For the title, I used Tim Holtz grungeboard letters, colored with my Faber Castell water-based crayons, then stamped with an asian block clear stamp with black ink. 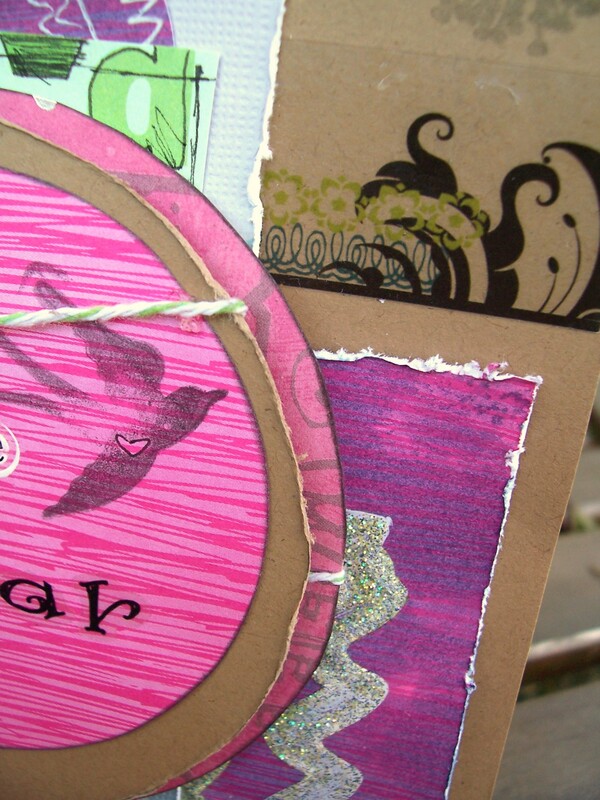 I also added a tiny vintage bird die-cut and some film strip ribbon (also TH). RIP Grandma and thanks to Olga for everything she did. Hubby’s grandmother, after a long, happy, and loved life, passed away ths morning at 102 years old. She went peacefully in her sleep, and we’ll miss her very much, but she has more than earned her rest. …As it’s be said (a few times), I’m not a fan of pink. However, certain scrap goodies are going to have pink stuff regardless. So I decided to finally put these pieces to good use with a card! 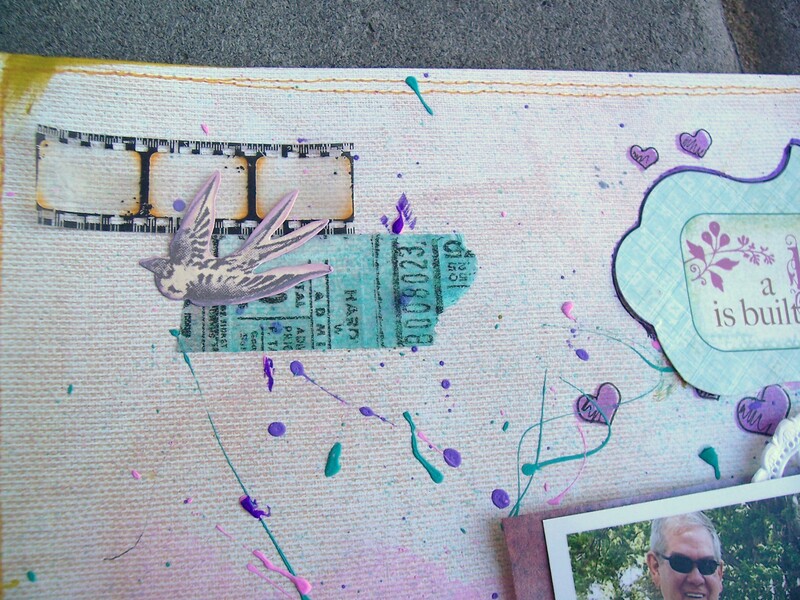 I used my black Tattered Angels spray mist on the kraft cardstock, then used a postage stamp and flying birds stamp (both from Tim Holtz, just two different stamp sets) with white acrylic paint to add more depth to the background. Then I bgan layering my other elements. I used glue dots to adhere the ribbon into a heart shape, and added some other pieces and stickers, washi tape, and buttons to complete the look. 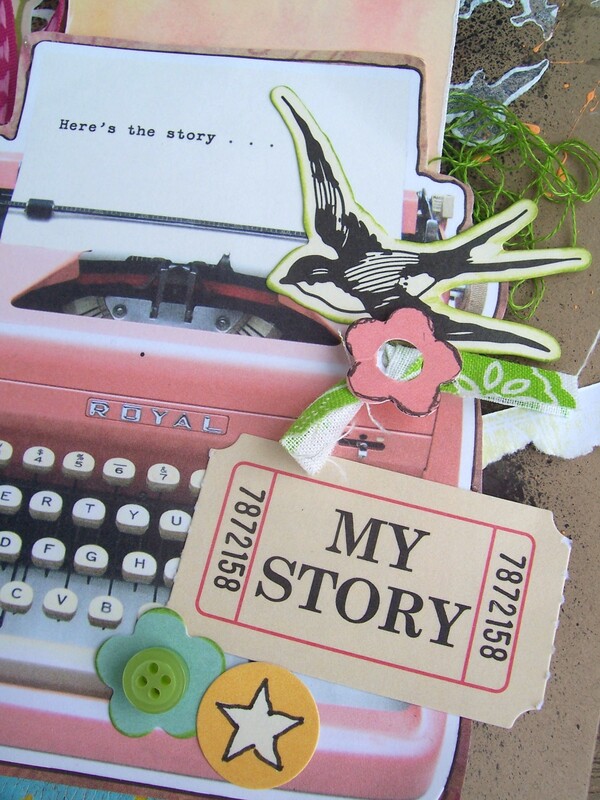 The typewriter, flowers, star, “my story” ticket and bird are all from a kit from January 2011! I also decided to mat the typewriter sticker on some patterned paper, and found a piece from my DCWV Once Upon a Time paper pack (purchase once upon a time 😉 then edged the typewriter with my white gel pen (that I’ve had for ages). I also used a K & Co. green patterned fabric scrap as “leaves” under one of my flowers (from a swatch pack I got a good 3 years ago!). I also used some paper scraps that worked for the color scheme. I attempted a technique that didn’t work out as I thought. I stamped my pink and yellow dye ink cubes onto my craft mat and spritzed with water. My aim was to get a splotchy, two-color bleed onto my tag. Well…I may have sprayed too much water, so what color do red and yellow make? So yeah, my tag was tinged pink/orange/tiny hints of yellow. So I let it dry, and had planned to attach it to the card as is, but I had my gesso out, so I edged the tag with gesso. Turns out, I love it! I also used my green Sakura pen to edge the bird to help it stand out and tucked a small “nest” of green thread behind the bird as well (thread left over from my cross-stitch days, roughly two+ decades ago, and no I’m not THAT old :P). …I also can’t believe I didn’t mention this earlier. Then again, with my day job craziness, hubby dealing with the flu, and me getting sick, it’s been busy around here. Anyhoos…you may remember my previous post about an album I made for my aunt (which I’ll be mailing out tomorrow, finally). 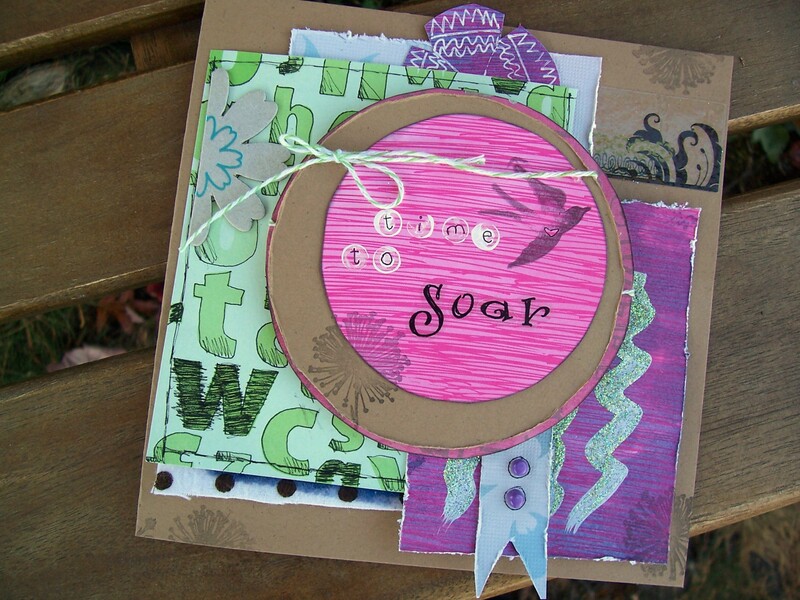 You may also remember that I added it to Punky Scraps challenge #66. I won, I won, I won, I won, I won! *cough* yeah *shy smile* I won the challenge! So, yay for me! So many people say it, but I don’t win contests in general, so this is huge for me! 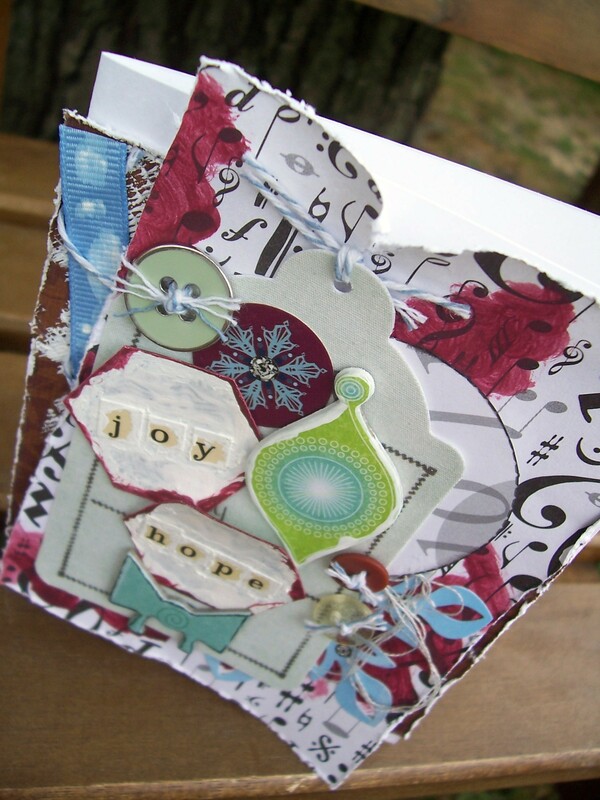 Thank you to Punky Scraps for choosing my entry. 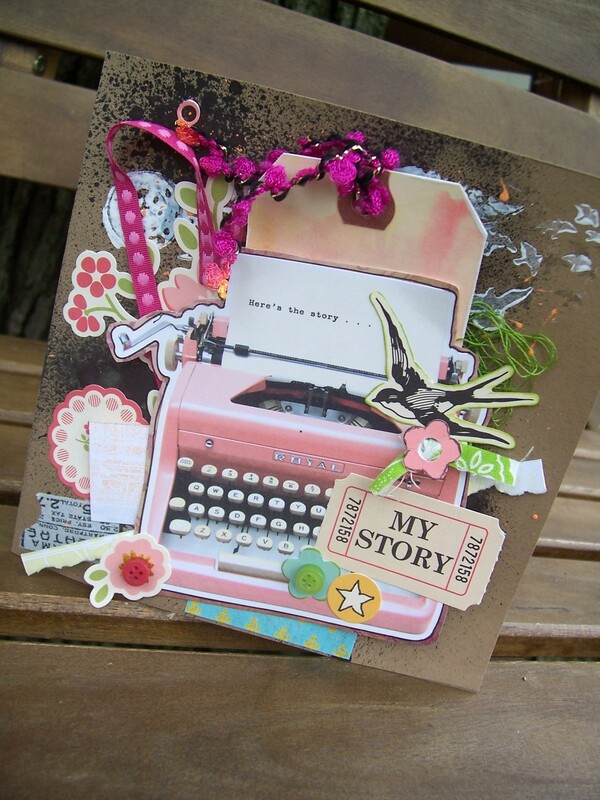 I love your challenge blog and it’s an honor to have my entry chosen. So..thank you! …yeah, I was nursing my poor hubby with his flu, and though I got my flu shot, I seem to be one of those people that if they get even a whiff of a cold, I get hit with bronchitis. I won’t bore you or gross you out too much, but take a cold with a stuffy nose and add the stuffiness to your lungs as well, complete with a smoker’s cough. Not fun. Yes, I know it’s winter holiday themed, and I hate the Christmas stuff being out way too soon myself, but I wanted to make some for the upcoming season. So here’s one that I made with a white cardstock base, a couple different patterned papers that I distressed and inked/gessoed; the music paper is way old! Come to think of it, so is that semi-circle piece peeking out from under my tag, though not quite as old. I also had some older winter-themed stickers and chipboard that I really wanted to use. 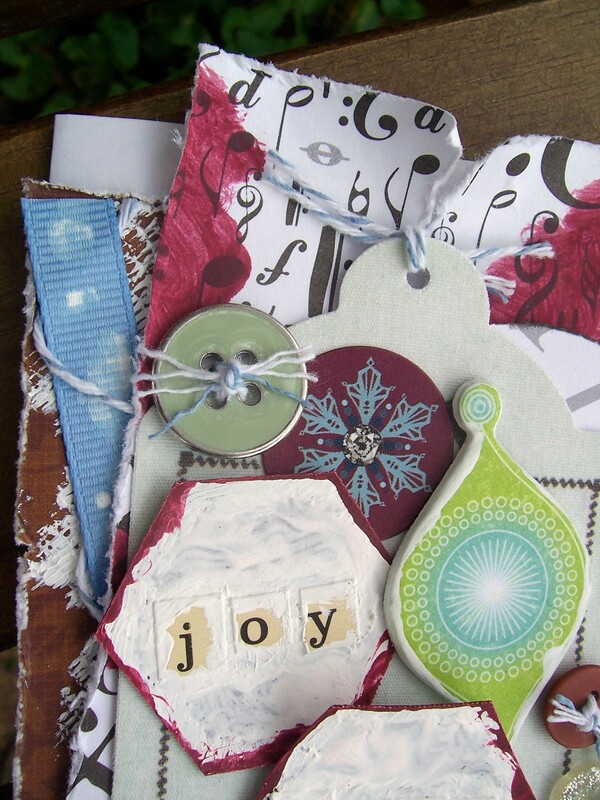 I used a black American Crafts pen on the edge of the chipboard teal bow, and gesso on the ornament. I also had some hexagons I had cut out, added the letters too, and gessoed the edge of the letters and hexagon, but didn’t like that, so I added gesso to the rest of the hexagon surface. I had some leftover burgundy paint, which I added to the edges. Much better! I added a couple buttons with baker’s twine centers, and some light-grey thread, along with a leftover scrap of blue ribbon with gesso splatters and bakers’s twine, and called it done! Originally I had three hexagons, but I couldn’t fine the third. Course, when I cleaned up, I found it (*headsmack*). Oh well, the card works without it. As I mentioned earlier, this card is posted to my Etsy shop. 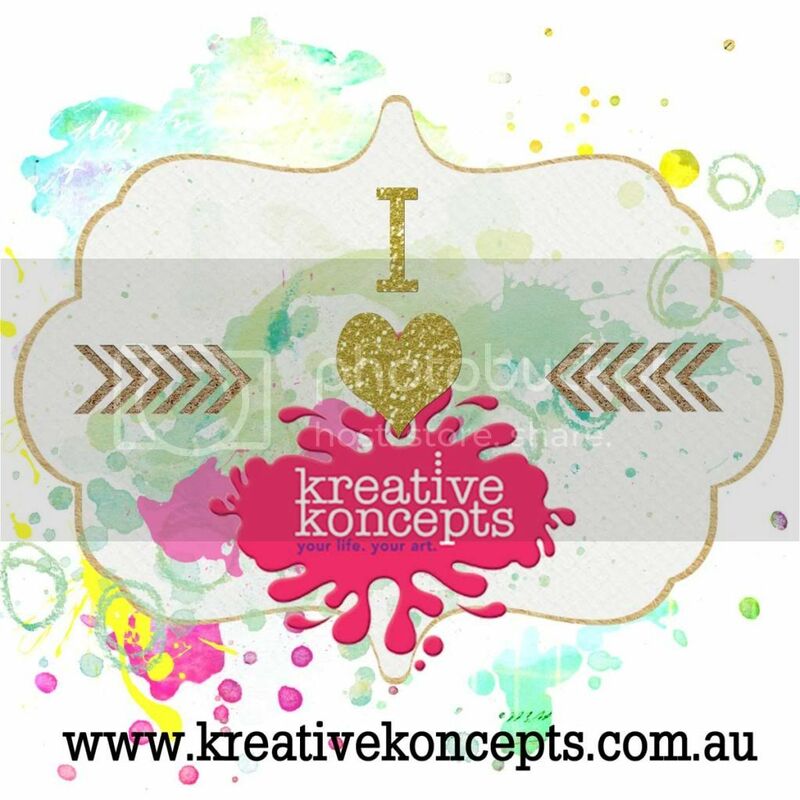 Feel free to pin it, post it on FB or Twitter, and show me some love! Or, of course, buy it!